WhatsApp is testing a new feature that should make it easier to add people to your contact list using QR codes, reports WABetaInfo. The report notes that the feature was spotted in a test version of WhatsApp on iOS, but it’ll be available on Android as well. The report suggests that each user will have their own shareable QR Code; you can add someone to your contact list by scanning the code with your phone’s camera. WhatsApp will fill out your contact’s info automatically when it successfully reads the QR code. Additionally, WhatsApp will let users revoke the code so it can’t be used indefinitely. WhatsApp is also testing a refreshed interface for adding new contacts directly from the app. That should make it a lot less cumbersome to quickly begin chatting with someone you’ve met, instead of having to first add them to your phone contact list and then waiting for WhatsApp to refresh its local database. Snapchat and Instagram use their own variations of QR codes with Snapcode and Nametags. This method is also popular with WeChat users. 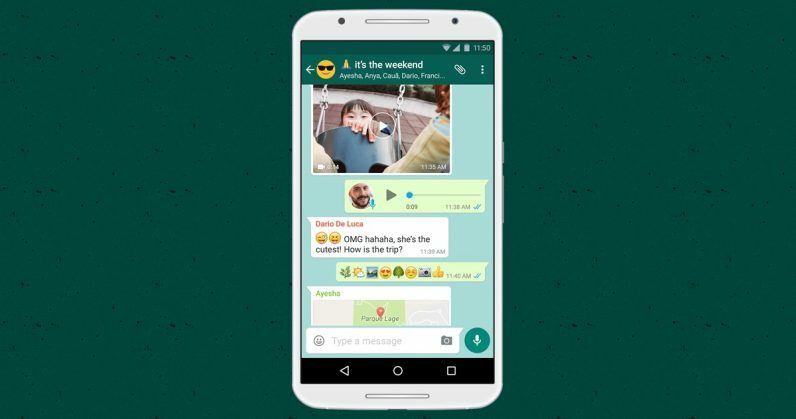 And WhatsApp already uses QR codes to let users log into its desktop service. The feature will be great for small business owners: they can paste stickers with their codes on them at their establishments, so customers can add them to their contact lists easily. That sort of thing is common in India, where people often need to chat with handymen, grocers, and other service providers for personalized orders. It’s not clear when the feature will roll out; we’ve contacted WhatsApp to learn more and will update this post when there’s a response.